Home / SkinCare / The Balancing Facial Oil For Oily And Blemished Skin Has Arrived! The Balancing Facial Oil For Oily And Blemished Skin Has Arrived! Oily and blemish prone skin types have now had their prayers answered, if they wish to include a facial oil in their skin care routines. 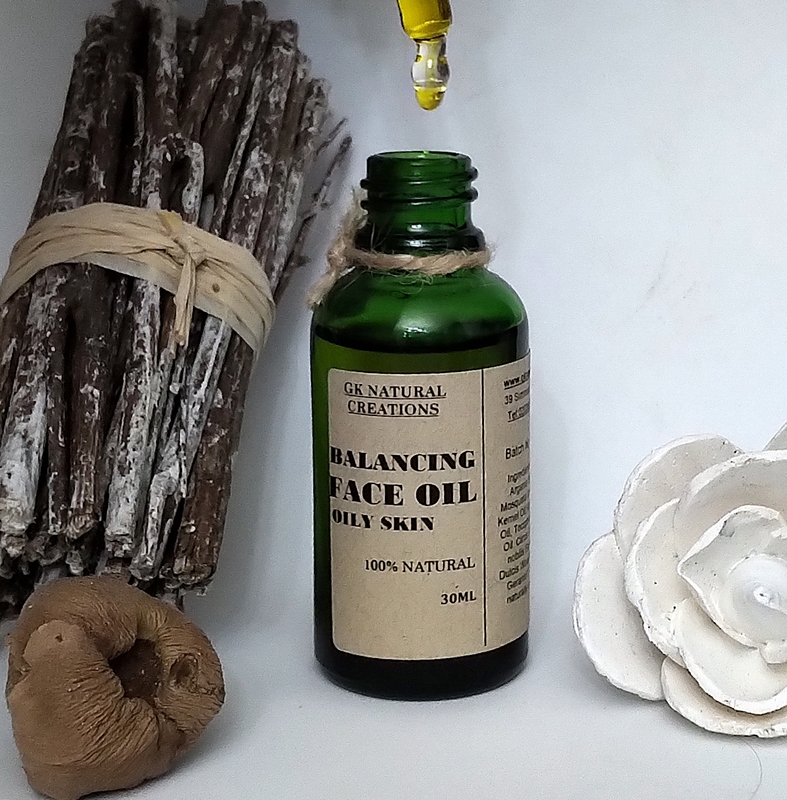 The 100% natural, GK Natural Creations Balancing Face Oil is formulated to provide gentle antiseptic and astringent action for oily and blemished skin. The astringent action is used quite commonly in topical acne products because it helps to cause pores to contract, which in turn dries up oil secretions and limits pore blockages. Combined with some power-packing natural ingredients, read on more to find out what is inside the precious green bottle. The Ingredients Of The Balancing Facial Oil. 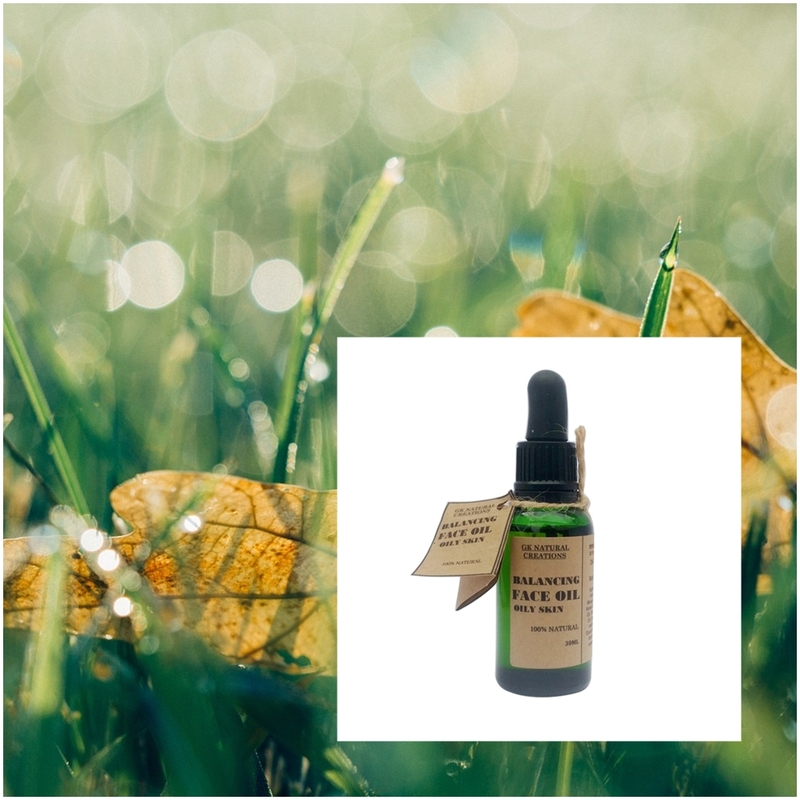 Vitis Vinifera Seed Oil - Known as Grape Seed Oil, it is a great anti-inflammatory and wound healer, whilst also providing antioxidant and phytonutrients that are easily accepted into the skin. Argania Spinosa Kernel Oil - Argan oil that is expressed from the kernels of the tree, it provides antioxidants and plant extracts for nourishing and protecting benefits for all skin types. Rosa Mosqueta Seed Oil - Rosehip Oil provides vitamins, antioxidants and essential fatty acids to provide elasticity to the skin, whilst revitalising the complexion from its high vitamin A and C content. Prunus Armeniaca Kernel Oil - Apricot Oil is widely used in serums because of its high Vitamin E and essential fatty acid content. It provides nourishment and moisturising benefits without overloading the skin. Hippophae Rhamnoides Fruit Oil - Sea Buckthorn Oil is derived from plants and is a natural ingredient in treating acne and regenerating skin cells because of its high content of antioxidant, anti-inflammatory, and antiviral properties. Tocopherol - Vitamin E helps protect skin from free radical damage and is an essential antioxidant that is suitable for all skin types. Lavandula Angustifolia Oil - Lavender, known for its soothing and anti-bacterial properties that can help with blemished prone skin. Citrus Grandis Peel Oil - Grapefruit, known for its astringent benefit to help balance oily and acne skin types. Anthemis nobilis Flower Oil - Chamomile, known for its anti-bacterial and calming properties to reduce inflammation of many skin complaints. Citrus Aurantium Dulcis Wood Oil - Orange oil that has antiseptic and anti-inflammatory benefits, whilst also used as natural fragrant in products. Limonene*, Linalool*, Geraniol*, Coumarin*,Citronellol*. *-naturally occurring in essential oils. What Is The Balancing Facial Oil Free From? The facial oil is not tested on animals and is free from animal by-products. Who is Suitable And Not Suitable To Use? 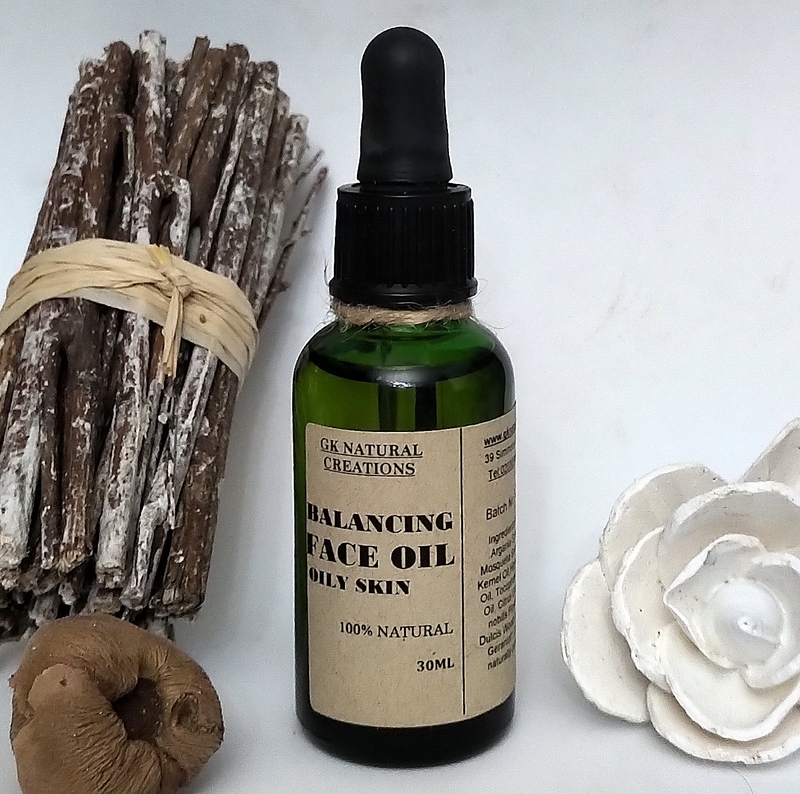 Suitable for oily skin types looking for a natural balance to control the shine, the facial oil is also great for those prone to spots, blackheads and congested skin. Not suitable for dry or sensitive skin types due to the astringent action that would strip the skin of its already compromised moisture. How To Use The Balancing Facial Oil? Dispensing a few drops from the eye dropper tool, it is best to apply to damp skin after cleansing and toning. The facial oil provides enough moisturising and skin care benefits (much more than probably your moisturiser), so you will find swapping your moisturiser out of your skin care routine when using the oil is recommended for best results. It glides over the skin with ease, before absorbing quickly, leaving a non-greasy and hydrated base, don't forget to apply your sunscreen after! The balancing facial oil is ideal for those wanting to benefit from using a facial oil, without the worry of it being too heavy or leaving your oilier skin even more greasier and shinier. The Balancing Facial Oil is available in 30ml and should be used 6 months after opening. X Neil.